The rapid rise of cloud data storage and applications has led to unease among adopters over the security of their data. Whether it is data stored in a public, private or hybrid cloud, or used in third party SaaS applications, companies have good reason to be concerned. This session will focus on practical advice on what to look for in cloud service providers and a review of the technologies and architectures available to protect sensitive data in the cloud, both on- and off-site. 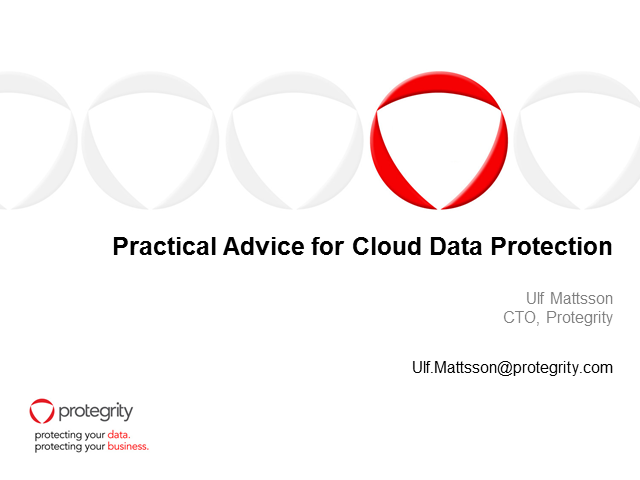 Through real life use cases, data security industry expert Ulf Mattson will discuss solutions to some of the most common issues of data governance, usability, compliance and security in the cloud environment.